Spyros is a multi-faceted Greek Attorney-at-Law with rich domestic and international experience since 2000, an Accredited Mediator since 2008 with international practice and an impactful mediation pioneer in Greece, he is a Weinstein International Foundation Senior Fellow, a Senior Accredited Mediation Trainer certified in delivering innovative Flipped adult Learning, an Author of mediation books in Greek and a University Adjunct Professor in Istanbul Turkey. Spyros is known for his tenacity, his ability to grasp complex matters, his interpersonal skills and his capacity to efficiently work in a multicultural environment. He provides legal, mediation, training and teaching services in English, French and Greek. Is a reputed international and domestic mediation practitioner, an impactful mediation pioneer in Greece and a leading mediation figure, member of various reputable international and domestic scientific committees. He regularly mediates across a range of disputes including Civil, Commercial, Banking, Insurance, Personal Injury, Trademark and Patent infringement and Medical Malpractice disputes. Spyros is, since 2016, the Director of the Athens SMEs Chamber Mediation Centre (www.mediation-acsmi.gr), which he established for the Chamber. Through this role, he guides companies, chambers and lawyers on the efficient use of mediation extending from their contracts and internal regulations to their dispute management practices. Spyros is the co-founder and managing partner of RESOLVE Mediators and ADR Experts along with experienced Greek Mediators and Trainers Eleni Plessa and Irini Matsouka. In 2013 he was awarded the JAMS Weinstein Fellowship. During his fellowship he was trained at Pepperdine University’s Straus Institute for ADR according to the Californian mediation model and he has participated in a considerable number of civil and commercial mediations. Since 2018, he is a Senior Mediation Fellow of the prestigious Weinstein International Foundation (https://weinsteininternational.org/greece/spyridon-spyros-antonelos/), a non-profit organization dedicated to making mediation available and accessible worldwide. He is serving annually since 2013 as a Judge and a Mediator in the ICC International Mediation Competition in Paris. In 2017 he judged the Competition final. Spyros is known to be a natural born mediator, who not only mediates as a professional, but also practices mediation as a way of being. He has work experience in English, French and Greek and mediates in all three languages. Spyros is a rare combination of a knowledgeable Academic with an ability to translate theory into practical applications, a Senior Practitioner, a highly experienced Mediation Trainer for Mediators and Lawyers and a Flipped Learning Certified Educator. He is the first to introduce the use of flipped learning techniques and technologies into mediation learning. Spyros officially introduced to the Athens Bar Association the idea of creating a Mediators Training Centre in March 2011; he also decisively contributed in putting this Centre in place as a member of the Athens Bar’s Task Force for the following two years. This work led to the constitution of the Athens Mediators Training Centre PROMETHEUS, which he has been a Mediation Trainer for Mediators and Lawyers (2012-2018) and a Training Coordinator. Ηe has designed and co-created with his RESOLVE partners, Trainers Eleni Plessa and Irini Matsouka a custom made 20-hour Training Program for Lawyers in Client Representation in Mediation, which he has been delivering since October 2015 in PROMETHEUS for the Athens Bar Association and in other Greek cities for various Bar Associations as well as for in-house legal services (more than 1.000 lawyers trained). He has been certified as a Trainer by the Dutch Organization “DIALOGUE BV” in workplace mediation and he has co-created with fellow RESOLVE Trainers a WORKPLACE MEDIATION PROGRAM. RESOLVE has implemented this program in Greek and foreign companies to help them resolve a multitude of work-related frictions, disputes and barriers to productivity. 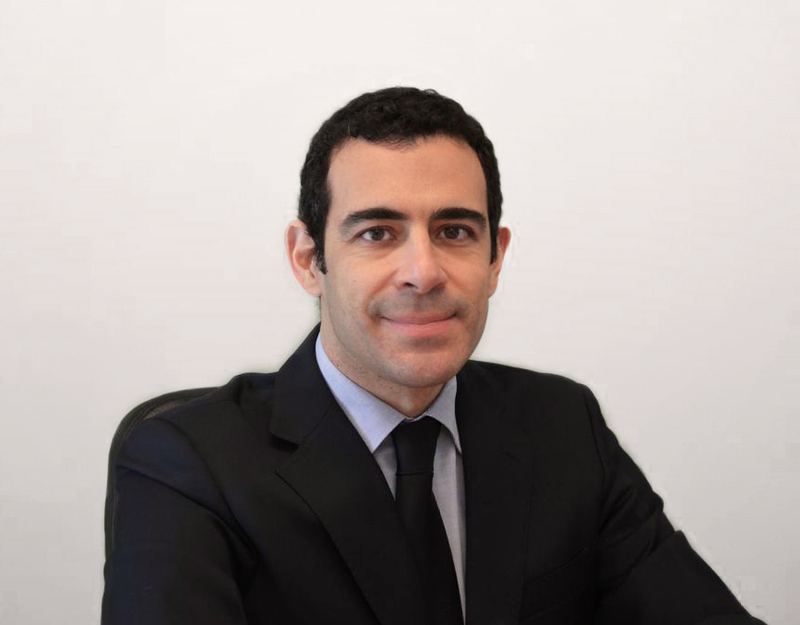 Spyros has repeatedly delivered mediation and conciliation trainings, seminars and workshops in Cyprus and France. He has also designed and delivered capacity-building training programs and workshops for mediators and lawyers in Turkey. Spyros was trained in Dialogue Coordination on an Erasmus PLUS training Program. Spyros has been certified as a Flipped Learning Educator by Flipped Learning Global and uses his unique adult training know-how to design and deliver innovative, high impact mediation basic and advanced trainings. He designs and delivers high-quality seminars, trainings and workshops in English, French and Greek. Has been providing legal services since 2000 (Athens Bar Association member). He has a rich international experience and practice working in France, Scotland, Belgium, Greece and Turkey. His Law Office (antoneloslaw.gr) has Greek and international clientele and is a member of Proteus International Law Firms Network (http://www.proteuslaw.eu/about-us). Spyros represents parties before the Greek Supreme Court (Arios Pagos) and other Civil and Commercial Greek Courts as well as in ADR (alternative dispute resolution) proceedings in cases including Commercial, Banking, Insurance, Personal Injury and Intellectual Property disputes. He also advises individuals, professionals and companies in contract negotiations and implementation, in company and construction matters and in property sales. 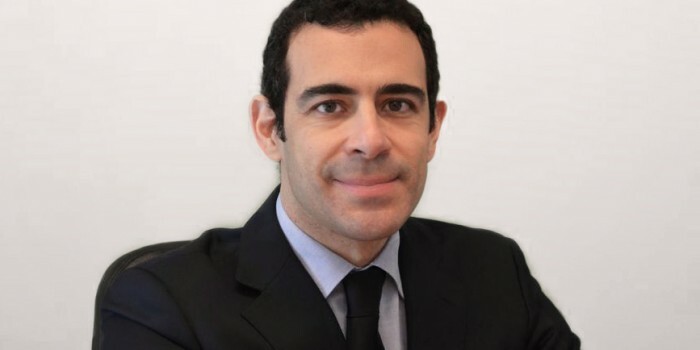 Spyros has worked in Legal Services of large corporations in France (Esys Montenay) and Greece (Eurobank S.A.), in Law Firms in Scotland (Maclay Murray and Spens) and Greece (Constantine Alexiou and Associates Law Firm) and for the European Commission in Brussels, Belgium (D.G. Internal Market). As a Scholar of the British Council, he successfully completed the Lawyers International Exchange Program “European Young Lawyers Scheme” and received the equivalent of a Diploma in Law from Edinburgh University. This Program included intensive U.K. Law courses at the University of Edinburgh and legal trainings in Law Firms. He has successfully completed with High Honors (Mention Bien) four years of Legal Studies at the Paris II Panthéon Assas French Law Faculty, one of the highest ranked European Law Faculties, renowned for excellence. Following his legal studies he also successfully completed with Honors (Mention Assez Bien) an LLM Program in European Commercial Law at the Paris II Panthéon Assas French Law Faculty. He has working experience in English, French and Greek and is fluent in all. Spyros’s expertise and tenacity has been crucial in the development of mediation awareness in Greece. He has been organizing and presenting, 227 mediation advocacy seminars around Greece from 2011 to 2018 both personally and with fellow mediators. These seminars were attended by more than 8.800 lawyers, mediators, judges and entrepreneurs. He regularly speaks to students, in Greece, France and Turkey on mediation and career planning. He regularly writes articles about ADR, published in prestigious legal and news websites and in law reviews. Since January 2017, he is a Mediation and Negotiations Adjunct Professor at MEF University, Istanbul Turkey. Spyros delivers courses in English on the following topics: Mediation and comparative mediation models, Negotiations in Mediation and in International Relations, Conflict Management and Neurobiology. He regularly speaks at domestic and international academic fora on the above topics. In 2014, he has written, along with Mediator and Trainer Eleni Plessa, the reference Mediation Book in Greek “Mediation in Civil and Commercial Cases: International Experience and Greek Implementation”, published by Sakkoulas Law Editions (www.sakkoulas.gr) – ISBN: 978-960-568-096-1. In 2016, he has written, along with French former Judge, Mediator and Trainer Béatrice Brenneur, the Mediation Book in Greek “Diamesolavisi gia Olous” (La Médiation pour Tous), published by Sakkoulas Law Editions (www.sakkoulas.gr) – ISBN: 978-960-568-441-9. Following the successful completion of the Advanced Training in School Mediation provided by the Piraeus Mediators Training Centre (K.E.DI.P) and American Accredited Trainer Dr. Jamie Walker, Spyros is an active designer and provider of School Mediation Training Programs for Greek and foreign Schools. He has developed a School Mediation Complete Program on Dispute Prevention and Peaceful Resolution in Schools called “MEDIATION EVERYWHERE” along with Trainer Eleni Plessa. In collaboration with Municipalities, the Greek Ministry of Education, School Directors and Teachers, he regularly implements School Mediation Trainings for Teachers and School Mediation Programs in private and public schools around the world. He regularly speaks in domestic and international conferences on School Mediation. Spyros believes that School Mediation is a tool for social inclusion and mutual respect. Spyros served as the Deputy Secretary General of GEMME, the European Judges Association for Mediation (http://www.gemme.eu/en) and a member of various scientific and advisory international Committees on Mediation and ADR. He has been a Member of the Hellenic Ministry of Justice Mediators Accreditation Committee from 2012 to 2018.